This review first ran in the July 14th edition of The Hamilton Spectator. It’s an amusement park for organizations where all the rides are thrilling, few are fun and most leave you nauseous and terrified. VUCA is military-speak for an environment marked by nonstop volatility, uncertainty, complexity and ambiguity. In VUCA World, forces like technology change, social change and globalization converge and conspire to throw waves of adaptive challenges your way. Adaptive challenges are messy, open-ended problems that are as tough as a $3 steak and pack enough punch to wreck organizations and ruin careers. Your CEO or senior executive team can’t solve an adaptive challenge on their own. With these wicked problems, it’s near impossible at the outset to say what the right question is, let alone figure out the answer. You solve an adaptive challenge through collaboration. And you don’t get that collaboration through standard “salute and mute” meetings with overstuffed PowerPoint slide decks or brainstorming sessions where 100 ideas are tossed out by the usual suspects. What you need is a strategic conversation. “Effective strategies don’t come from spreadsheets, slide shows or detailed agendas,” say authors. “Effective strategic choices come from great conversations where people combine their best ideas in new ways. 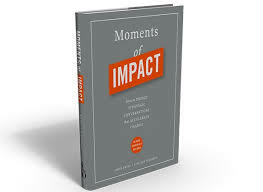 They come from people sharing moments of insight so compelling that they demand action. The best strategic conversations are carefully designed and built around five core principles. Declare the objective and define the purpose. Strategic conversations have only three purposes – building understanding, shaping choices or making decisions. Focus your conversation on only one purpose at a time. And don’t jump to making decisions without first building understanding. Seems obvious but you’d be surprised how often this doesn’t happen. Identify participants and engage multiple perspectives. Assemble a dream team of the right people with the right perspectives, steer clear of groupthink and genuinely listen to what they have to say. Assemble content and frame the issues. Help your dream team see the same things at the same time to arrive at shared insights more quickly and effectively. Find a venue and set the scene. You won’t get open dialogue in a room set up for passive listening. “While it’s theoretically possible that a breakthrough idea could come out of a windowless conference room…we’ve never heard of it,” say the authors. Set the agenda and make it an experience. Take your team on an intellectual and emotional journey that delivers a powerful, shared experience to their heads and guts. Strategic conversations that miss the mark waste time and money. You demotivate the troops and leave them worrying that your senior leaders don’t have a game plan. There’s no follow-up or sense of urgency to change course. And you can find yourself saddled with some spectacularly awful, half-baked decisions that only make matters that much worse. To design productive strategic conversations, the authors have included a 60-page starter kit that’s loaded with proven tools and tips. This is a must-read manual for anyone who’s wrestling with a work or community problem that’s as tough as a $3 steak and looking for a new and better way to strike up a conversation and find the best answer.